Caffeine is a one of the major components that can be found within coffee, tea and some other consumable products. 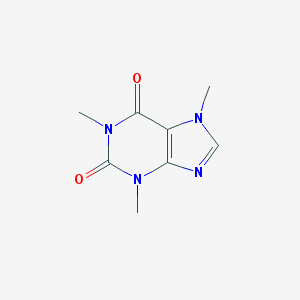 Caffeine is a white substance which is odourless and bitter.Caffeine is also known as 1, 3, 7-Trimethylxanthine.But it has its IUPAC name named as 1, 3, 7-trimethylpurine-2,6-dione. It is very interesting to study how caffeine is produced in nature. Purine or purine ring based compounds can be seen in many organisms in biological world. Among those compounds xanthine plays one of the major roles. 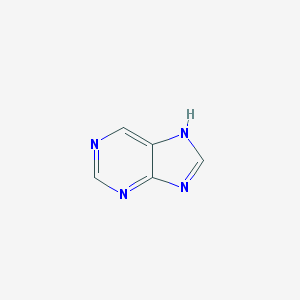 When xanthine is methylated by methyl groups; compounds such as caffeine and theobromine are created. Caffeine is more like to be found in tea and coffee whereas cocoa is the best plane to find theobromine. Theobromine also is a xanthine alkaloid which is bitter, white and odourless as same as caffeine. The chemical structure of purine (purine ring) is given below. 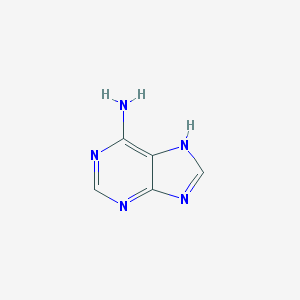 Now below chemical structure of theobromine and caffeine is given. 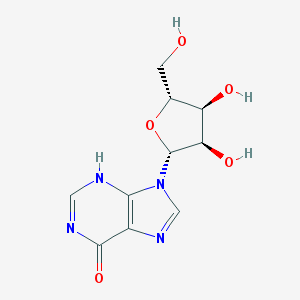 As already know caffeine is a xanthine based alkaloid. Also act as a weak base. It can be seen as a white compound at STP (standard temp and pressure). Melting point is 238’C. Understanding the solubility of caffeine is quite fascinating. Due to caffeine’s structure and aggregates by the plane to plane stacking, caffeine has a higher solubility in water at higher temperatures. Also caffeine is more soluble in organic compounds than it does in water. By studying the distribution coefficient of caffeine or otherwise the concentration of caffeine in water and in an organic solvent, can see a better illustration of caffeine’s solubility. This is commonly known as the Nernst’s distribution law. “If a solute distributes itself in two non-miscible solvents at constant temperature and comes to equilibrium, then the concentration ratio of the solute between both solvents is a constant (Kd)”. Data below shows the solubility (g- caffeine/100g-solvent) of caffeine in some of the solvents against temperature. When coffee is being roasted (in most cases) due to exothermic reactions and higher roasting temperatures caffeine will meet its sublimation point very easily. Therefore technically, rather considerable amount of caffeine loss can be expected. However during the coffee roasting process total mass of the roasted bean is lower than its green bean. Therefore now, relatively; actual caffeine percentage has increased in the roasted bean because the loss of caffeine is very modest than the lost mass of the bean. Thus we can see the expected loss of caffeine has not occurred. Therefore as a comparison, somewhat can be explained this scenario as an increase of caffeine percentage to coffee mass. Low rate of transmission of created vapour particles through coffee layers and increased sublimation point of caffeine due to accelerating pressure within the bean can be given as most related reasons for above behaviour of the caffeine upon coffee roasting. Apart from enzymes, proteins, lipids and other genetic materials, rather higher amount of methylxanthine molecules have been embedded within tea leaves together with polyphenols. 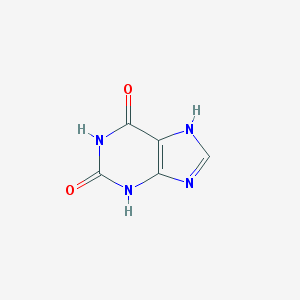 Caffeine and theobromine which present in tea leaves have been generated by this methylxanthine. As the percentage to dry mass of green leaves, 3% of caffeine and 0.2% of theobromine can be found most commonly. 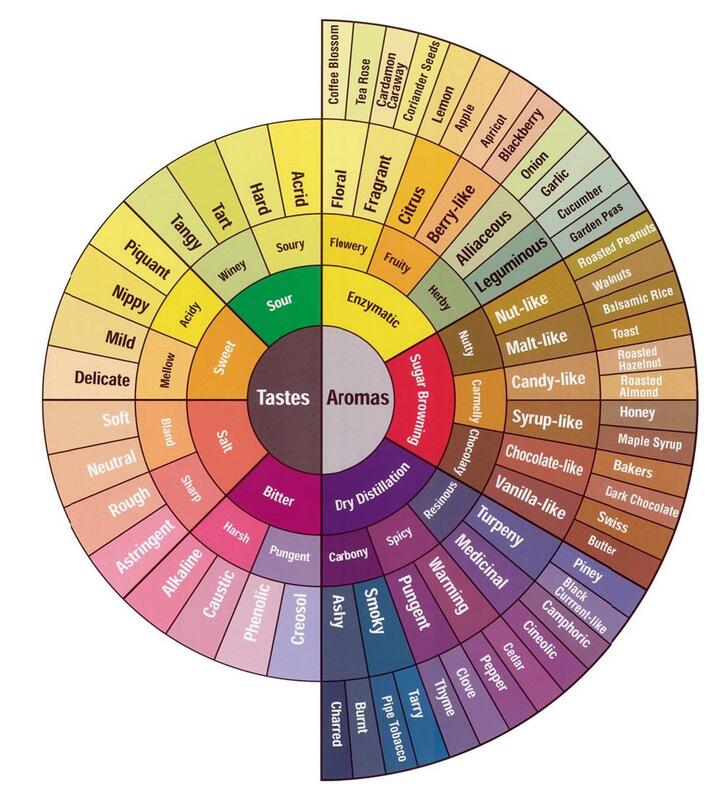 Caffeine is more like to be synthesised throughout the life time of a tea plant. As mentioned above Purine or purine ring based compounds can be seen in many organisms in biological world. 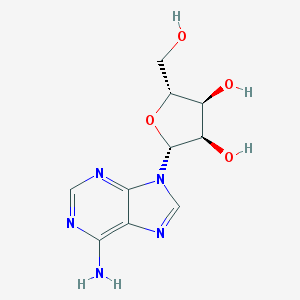 So it is very interesting to see the mechanism of the creation of caffeine from purine based. 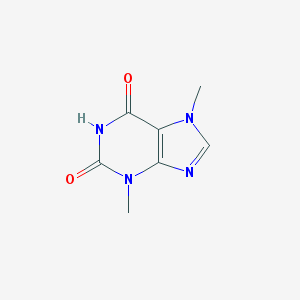 Here caffeine will be predominantly synthesized from adenosine(C10H12N5O4), a purine based compound. There are many areas that caffeine affects to the human body. Many years ago coffee bars used to be the place that people used to gather to discuss their new ideologies as caffeine can increase the human intellectual behaviours and activities. Apart from this wonderful effect some other caffeine influenced action on human body is given below. Caffeine changes the electro-physiological activities of the heart and brain. Increases the gastric acid secretion. Often increases the blood pressure. Removing caffeine from tea and coffee has become a vital aspect of modern market as its necessity is growing with the requirements of the human biology.There are few methods of decaffeination that have been introduced to the industry and every method has its own extraction process within a given solvent other than more advanced electrochemical and microbiological methods. In this method green bean is treated by a super-heated steam in order to open bean cell pores. Then beans are rinsed with most appropriate organic solvent. Such as dichloromethane, ethyl acetate or maybe benzene. However, dichloromethane and ethyl acetate are most commonly used solvents in these methods (direct or indirect). Then this mixture of solvent and bean are steam distilled to separate the solvent and the bean. Beans are next being dried to acceptable standard of moisture levels. In this method green beans are soaked in almost boiling water for few hours in order to dissolve caffeine in to the water. However the negative aspect of the procedure is most of the flavour particles of the bean such as sterols and other fatty oils are also being extracted to water. Then the mixture is washed with the given solvent, such as CH2Cl2 or CH3COOC2H5. After that mixture which was separated from the washed beans is heated until solvent is evaporated. Then the remaining liquid is once again mixed with green beans in order to re absorb its flavour components. Even though this method is very common, the coffee that is being decaffeinated by this method has very less amount of flavour notes. This method is usually considered as very expensive within the industry. Water soaked green beans are sent to extraction vessel where they are being washed with liquid CO2 at 31’C and 1034psi. This very extraction is called as the “low pressure cold extraction” where high pressure extraction uses about 10000psi and 87’C. Then liquid CO2 is absorbed in the next chamber and beans are separated. This method is one of the most successful methods which is used for decaffeination process as it is not influence coffee’s flavour structure. There are few methods that we can use to crystallise caffeine from brewed coffee. However this method below is one of the most commonly used methods. As already given caffeine is more soluble in dichloromethane than in water. So here we use CH2Cl2 to extract caffeine from brewed coffee. Then developed caffeine is purified by using its sublimation point by using its sublimation enthalpy at a vacuum. Then produced gas state caffeine can be transformed in to its solid state and get most purified caffeine crystals. After removing caffeine from green beans, they turn in to yellowish brown colour. This may result some difficulties such as controlling roasting colour upon coffee roasting. Also decaffeinated beans might contain various amounts of moisture levels as green beans were treated from various liquids for several times during the process. This may once again can create uneven roast. Most importantly these coffees will have less flavour compound as majority of them have been eradicated by the decaffeination process. Once decaffeinated coffee is brewed consumer might experience a low flavour perception and less wonderfulness from the coffee itself has. Therefore it is very important to have a profound understanding of caffeine, decaffeination and expected flavour perception of decaffeinated coffees before anyone criticises or passes the blame on the barista or ultimately the roasters or farmers. Because, what we should not forget is, from farmer to barista, all of them are linked together to deliver the better cup of coffee to expand its ultimate beauty. Tags: acids, Alkalinity, barista, Caffeine, chemical compounds, chemical reaction, chemical reactions, chemistry, coffee, coffee chemistry, coffee cupping, coffee quality, coffee roasting, coffee science, decafe, decaffeination, dose, espresso, extraction, flavour, gastronomy, grind, Maillard reaction, SCAE, sensory triangulation, speciality coffee, taste, TDS, water. Bookmark the permalink.